Spending all day outdoors and all it does is rain? No worries. With the Mens North Slope Jacket from Jack Wolfskin, the weather is irrelevant. 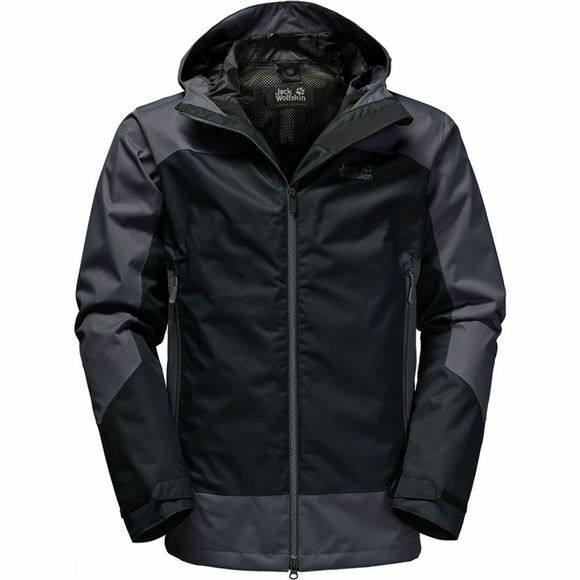 This functional, basic weather protection jacket is made of extra robust materials and cut slightly longer. For guaranteed protection from the rain, wind and snow. If you need a bit more warmth, you can use the system zip to combine it with a compatible inner jacket. This provides a functional combination of weather protection and insulation you can use all year round.